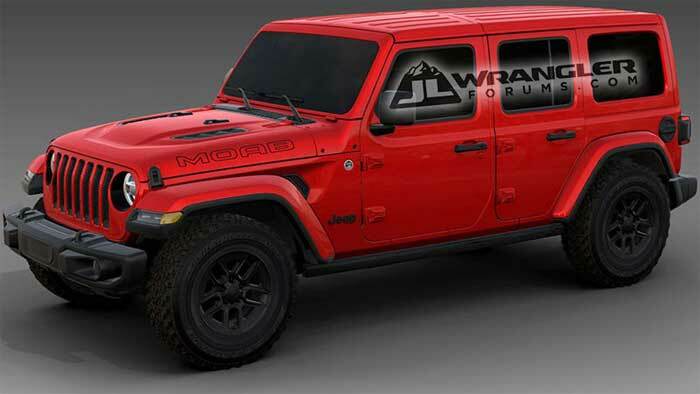 Not long ago we talked a bit about the Jeep Wrangler Moab that was spied on a car hauler near FCA HQ. Speculation was at the time that this was a new special version that would be landing. It now appears that speculation was true. An order guide has leaked that gives us a look at pricing on this special model and it’s very expensive. It saddens me a bit to see how costly Wranglers are getting, it seems the days of a cheap Wrangler for bashing off-road are gone. The Moab edition is $52,695 out the door. That makes it $8,200 more costly than the off-road focused Rubicon model. Moab is built on the Sahara model and gets the Rubicon hood, LED lighting, steel front bumper, body color hard top and steel Mopar rock rails among other bits like leather. There are plenty of options to drive that price up even further.